Do you ever have one of those moments where you decided you just have to have something even though you’ve lived perfectly a perfectly full life without it before? That’s how I felt right before I went and purchased these Napoleon Perdis Loose Eye Dusts. I woke up one day and decided I just had to own a rose gold eyeshadow but, as much as I tried searching for one, I couldn’t find the exact shade I was looking for. I came across these and decided that I’d buy them as my consolation purchase. 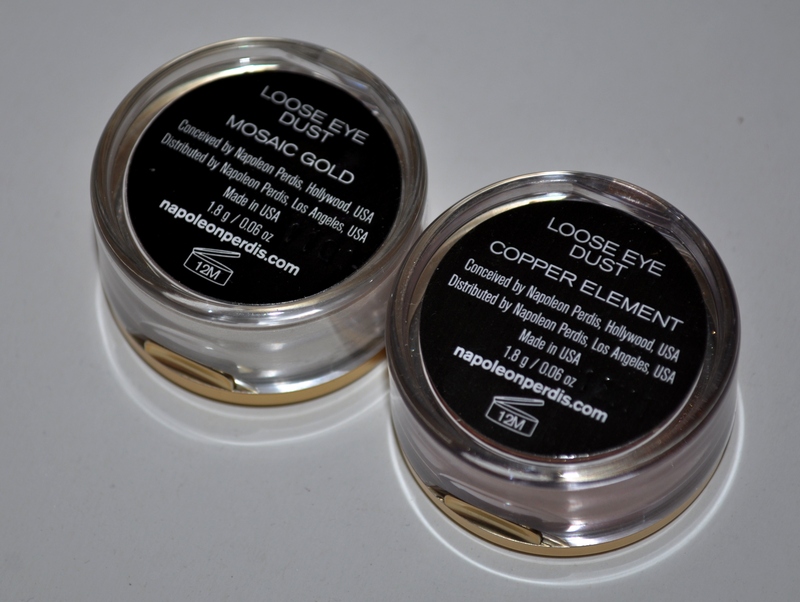 I bought the shades Mosaic Gold and Copper Element and I they’re both beautiful on their own or when combined. 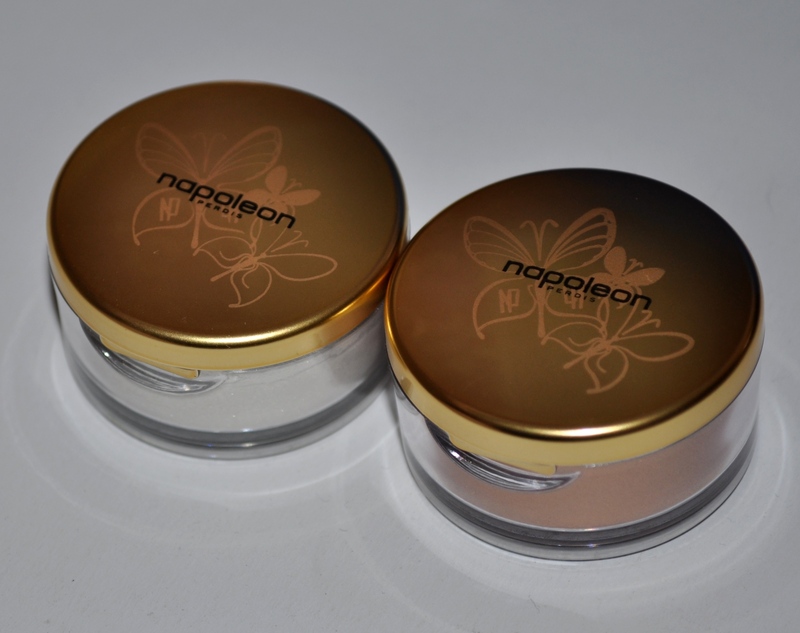 I loved the packaging these come in and the design releases enough loose powder without making a mess. My only concern is that the lid doesn’t seem very secure as it’s a flip lid so I’d be careful when travelling with them. 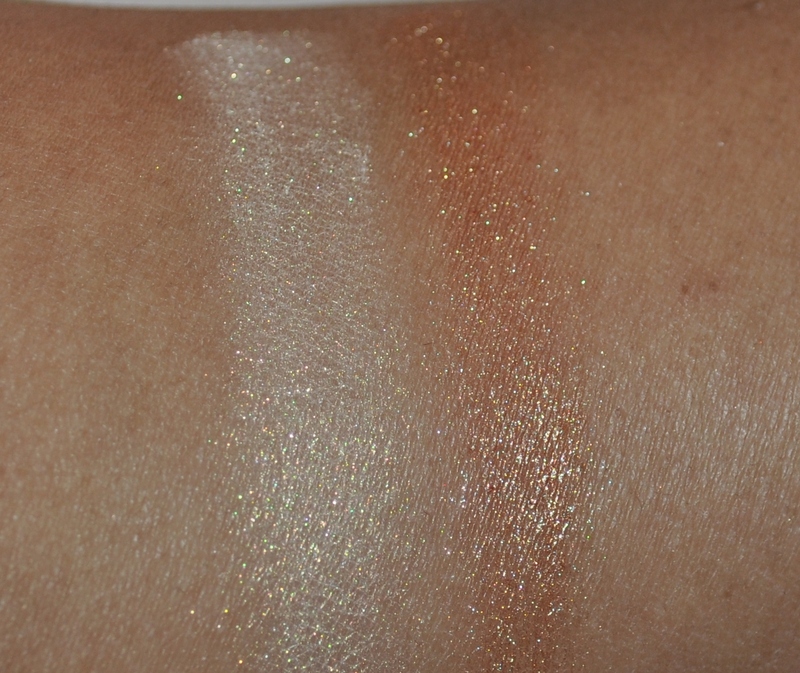 Mosaic Gold is a white shadow that reflects gold and reminds me of one of my favourite inner corner shades, MAC Solar White. Copper Element is a fiery copper shade that is perfect as an autumn lid shade. 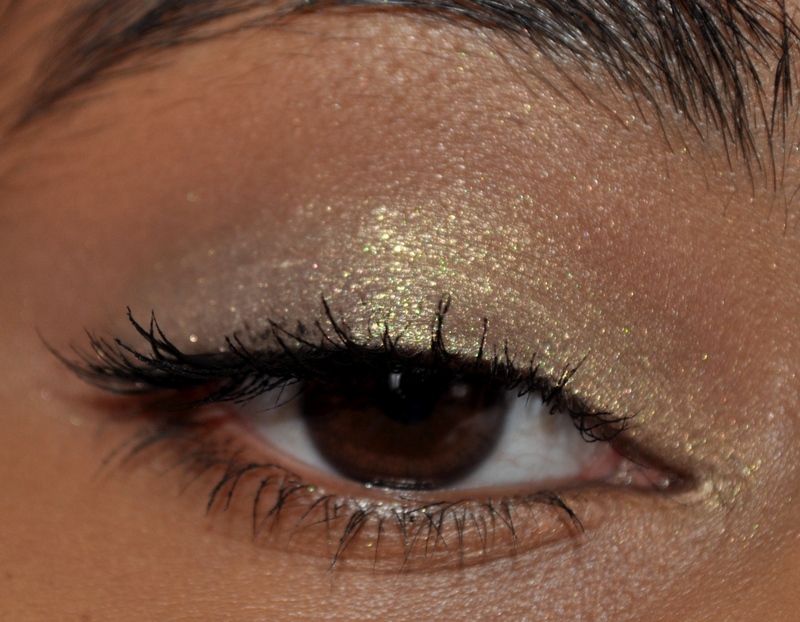 I usually wear both shades together with Copper Element on the lid and Mosaic Gold on the inner corner and just blend out the crease with a mid tone brown. 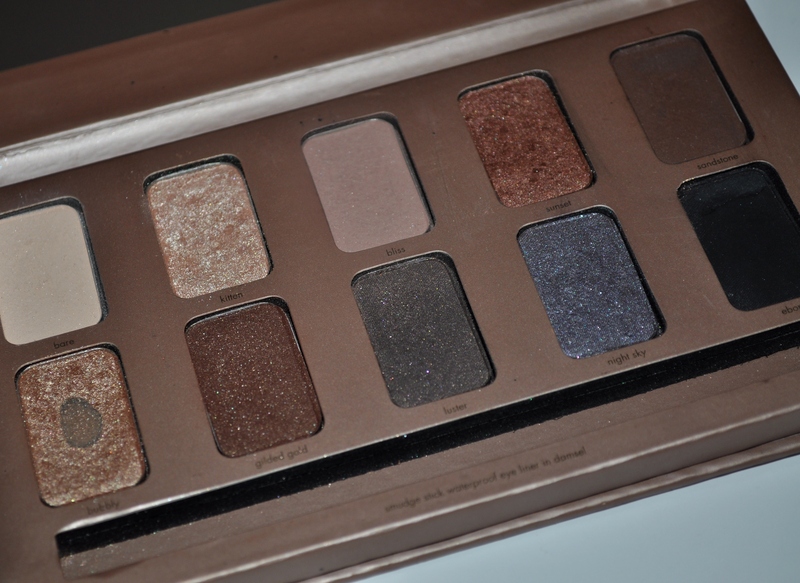 The shades go perfectly together and the resulting look is very radiant and easy to pair with both neutral or bold lips. 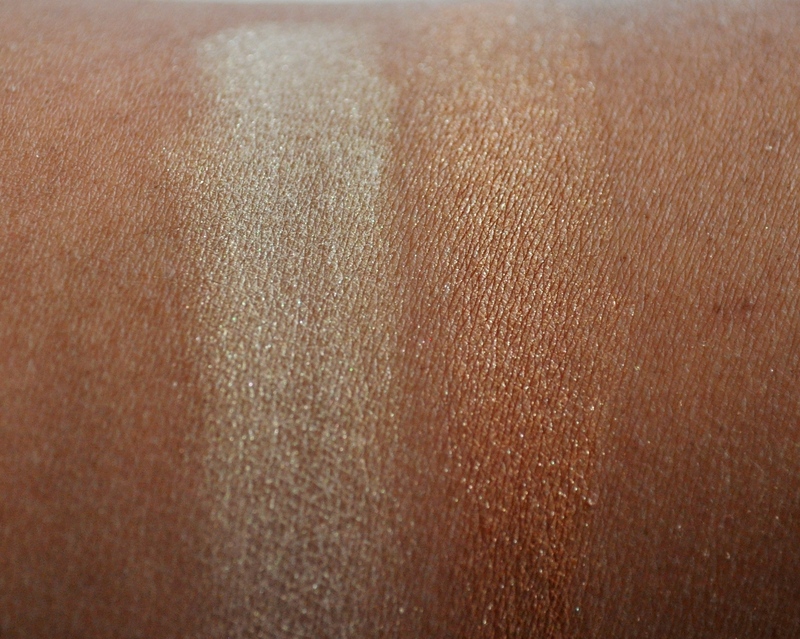 These shadows seem very finely milled and are quite pigmented on their own. I’d still apply them over a base though because they do tend to have a bit of fall out. 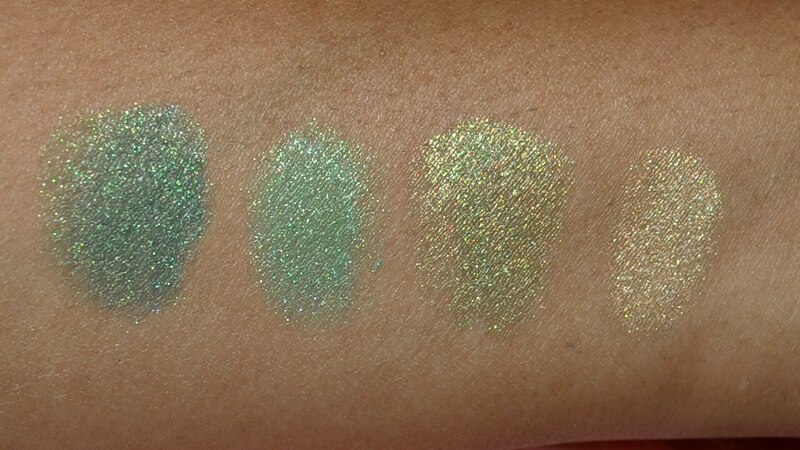 There’s a really good shade range in this line and, if I didn’t already have way too many eye shadows, I might have been tempted to pick up more. The box has a ‘Pro Tip’ which says that you can mix the loose shadows with a clear gloss to make a lip gloss. 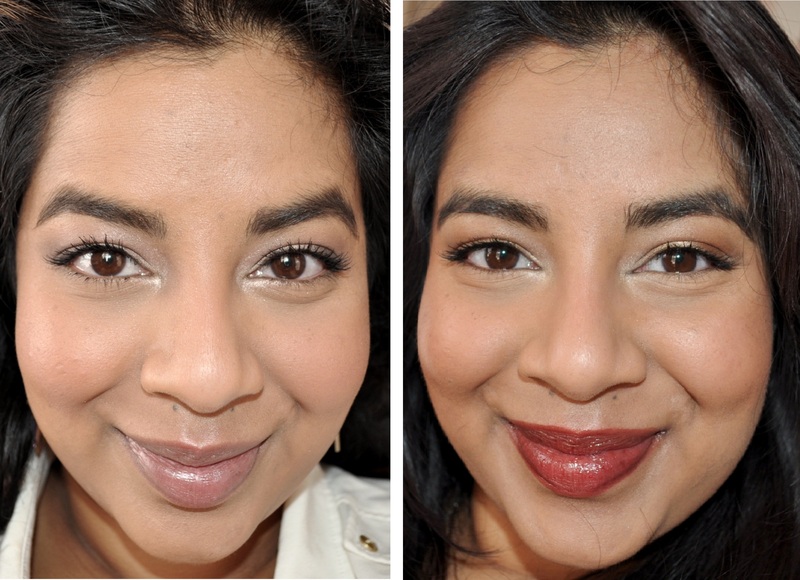 I was really curious about how these shades would look on the lips so I mixed them with NARS Triple X lip gloss (a clear gloss) and gave it a go. 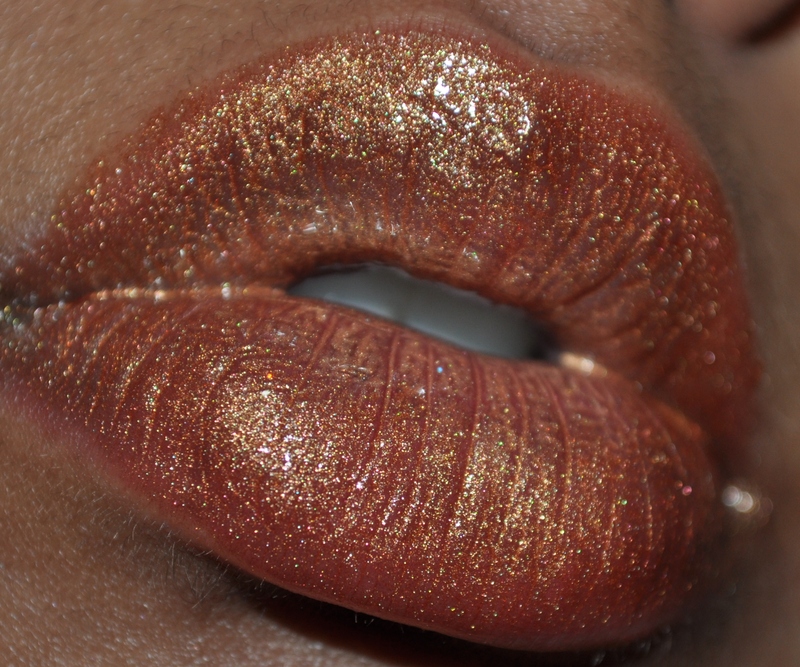 I used Copper Element all over my lips and then patted Mosaic Gold in the centre. It’s an interesting look but not one I’d ever wear out! 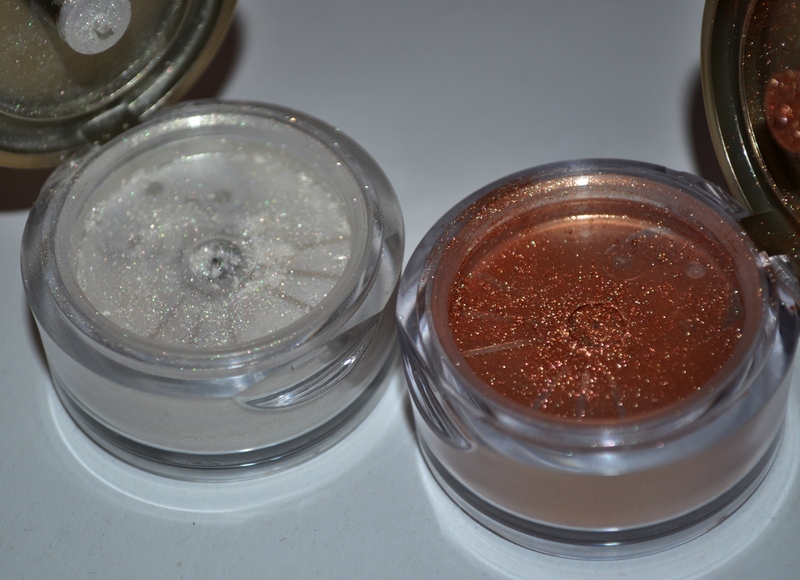 I decided to pat some of the Copper Element over MAC Ruby Woo to see how it would turn out and it was lovely. 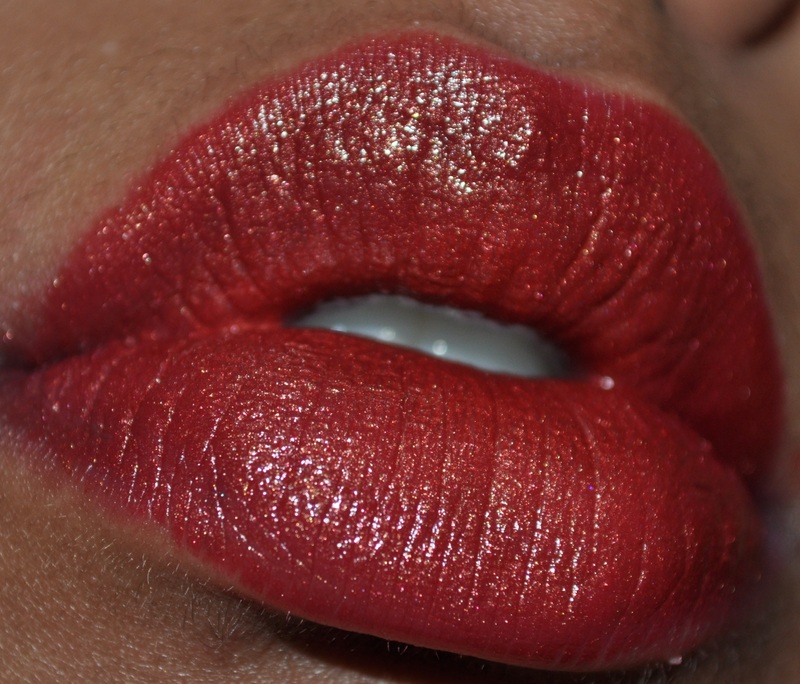 The usually matte and bright Ruby Woo ended up turning into a perfect fall shade with the gold mixed in. These sell for $25US/$35 AUD. They’re not cheap but I’d recommend them if you find a shade you love enough. Ah-mazing lashes with Napoleon Perdis Ah-Mazing lashes mascara! I picked up the January 2013 issue of Instyle magazine a little while ago which came with a free Napoleon Perdis mascara. 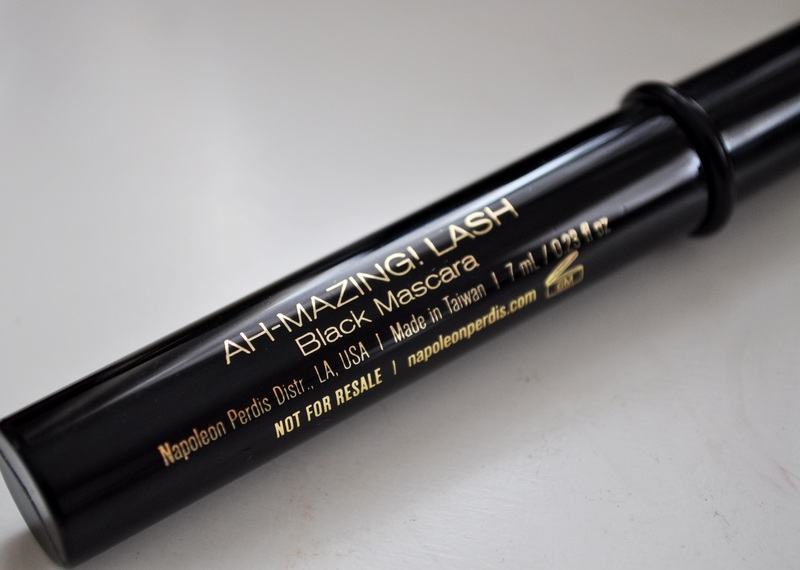 It’s called the Ah-mazing Lash mascara and it is ah-mazing! 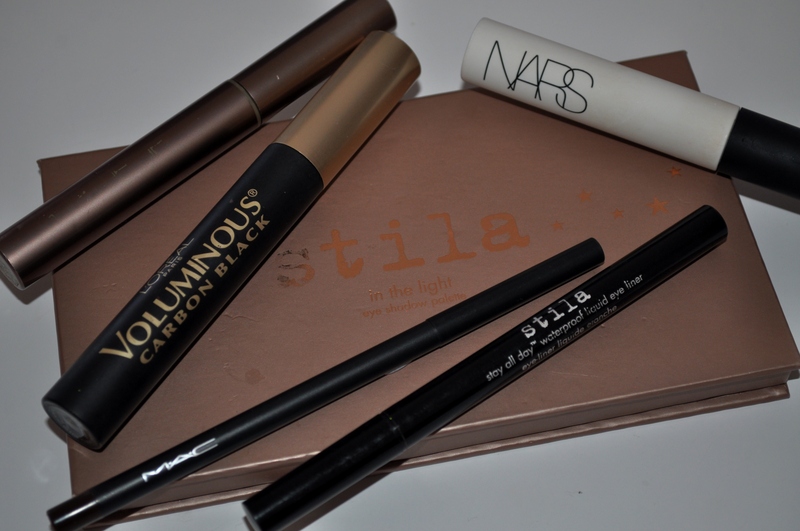 I wasn’t expecting much when I tried this mascara but it gives the most gorgeous lash effect! The trick seems to lie in the unique shape of the brush. It’s a long skinny wand which has a club shaped head. I don’t know what it is about the shape but it lifts and lengthens my lashes like no other mascara I’ve tried in a very long time! I find myself skipping liner since I’ve been using this mascara as I’m getting the definition I need with this alone. The formula is very smooth and long lasting and the shade is very intense. Here’s a picture with me wearing the Napoleon mascara on the left and another mascara on the right. 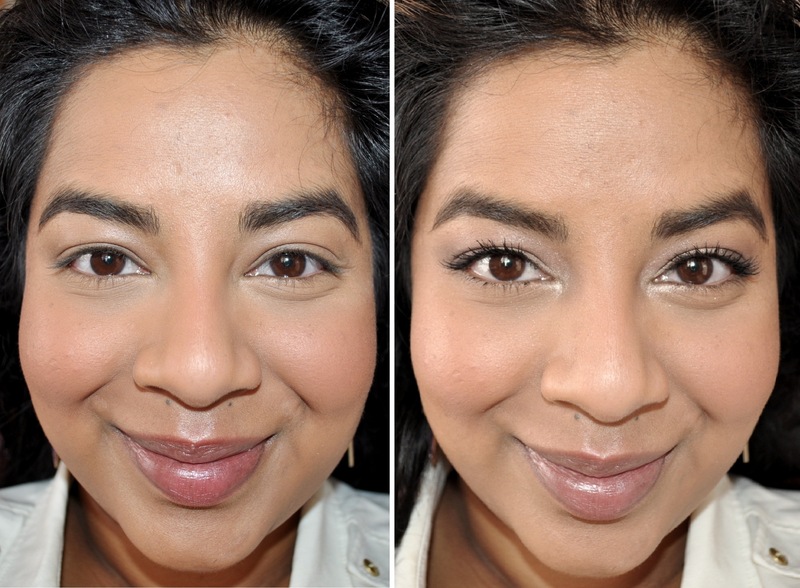 I can’t remember the mascara used in the picture on the right but it shows the dramatic difference this mascara has on my lashes compared to the effect I get from most mascaras. If you get a chance and you live in Oz, definitely go pick up the January issue of Instyle while you can so you can get your hands on this mascara. I went on to the Napoleon Perdis website to find out how much this sells for but I couldn’t find it. The magazine insert said it was limited edition and I don’t know what that means for repurchasing purposes but I’m determined to get to the bottom of it! 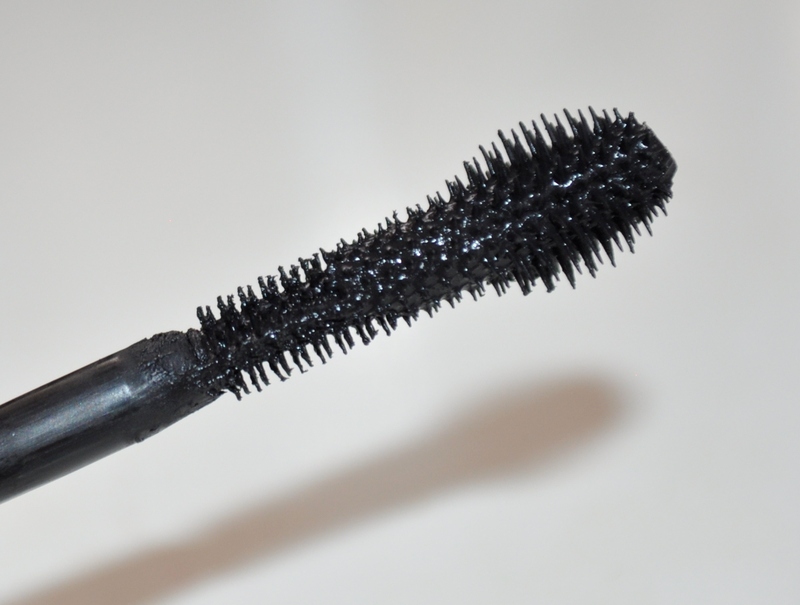 Please leave me a comment if you know if and where this mascara is available for purchase. 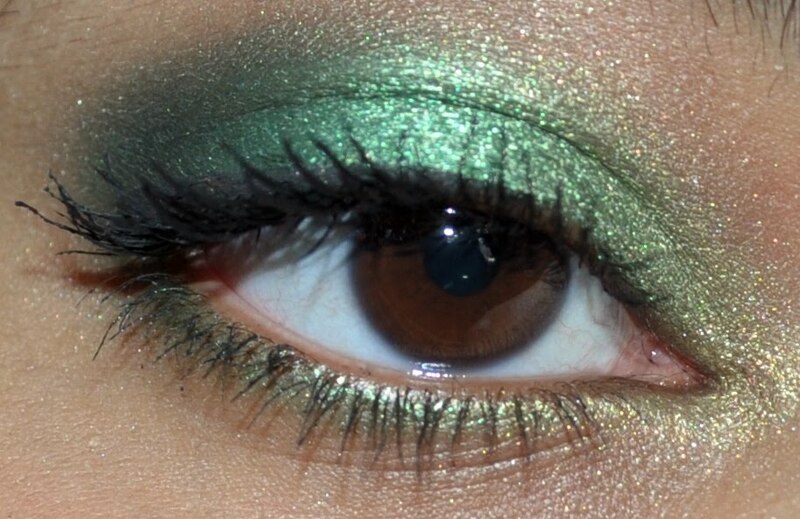 It’s St Patrick’s Day on the 17th of March so I thought I’d do a green EOTD. I bought a loose eyeshadow quad from the brand Chi Chi for halloween last year and really haven’t used it since so I thought I’d pull it out for this look. The colours include 3 shades of green as well as a gold. 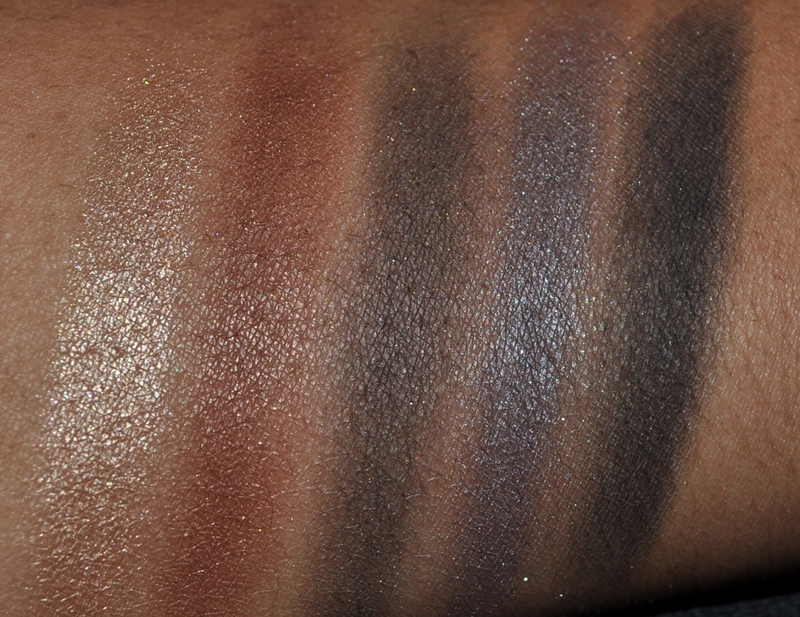 Here are the swatches. You can just substitute with greens of your choice. 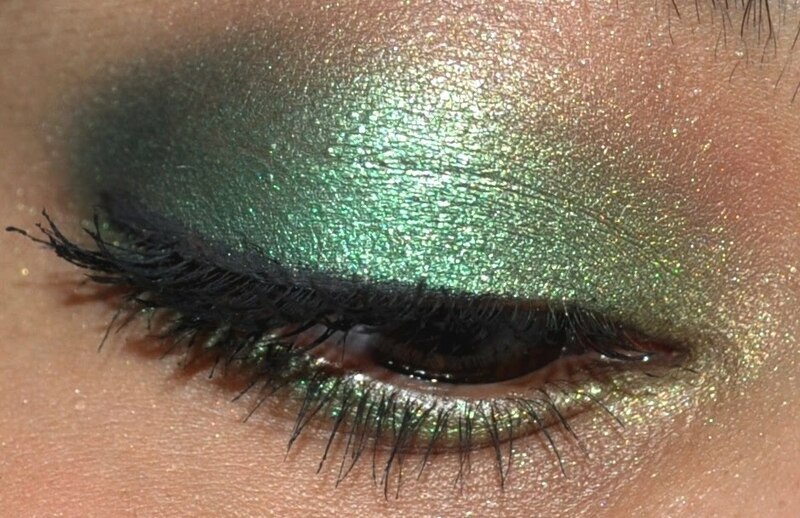 This is a whole lot of green but it’s really wearable and an easy way to rock some green on St Patrick’s Day if green clothing isn’t your thing. 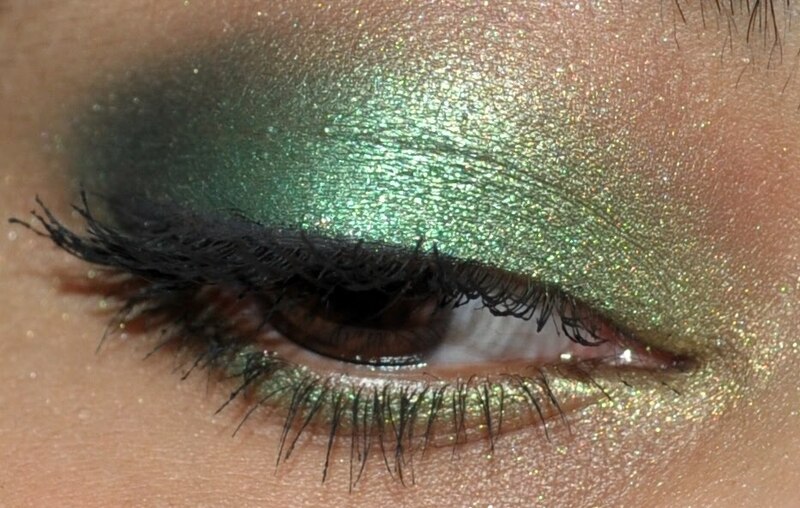 Will you be wearing green eye makeup this St Patrick’s day? This is another red carpet makeup look attempt. This look is one worn by Tiffany Hines who I’d actually never heard of before but apparently is in a show called Nikita. 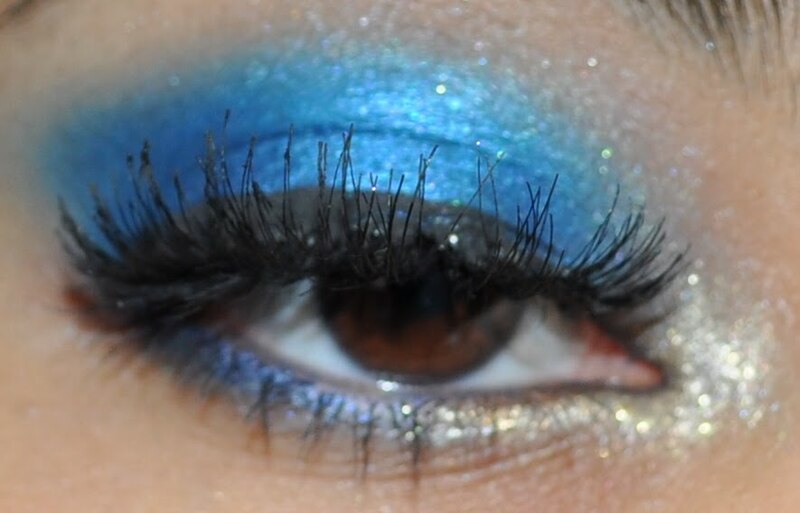 I really love blue eyeshadows and I especially love how this colour really pops against her hazel eyes so I thought I’d try and recreate it. 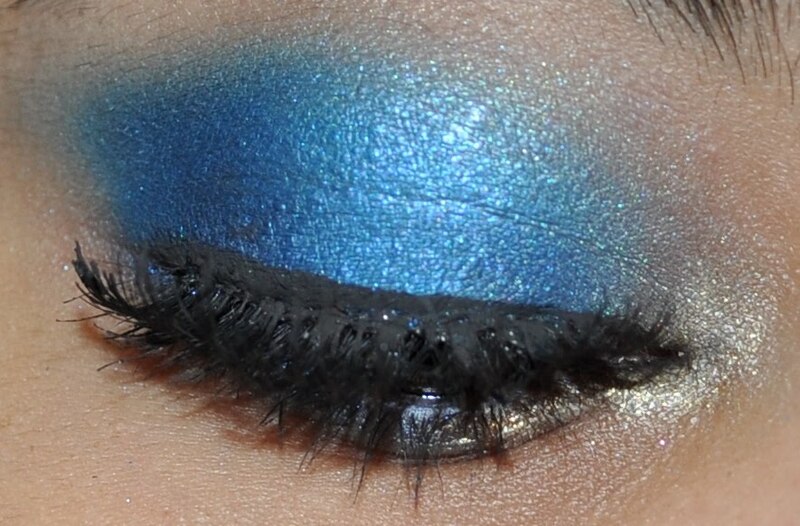 I didn’t have the exact shade of blue but I mixed MAC Atlantic Blue and Sugarpill Afterparty (you must get this colour!) to get a shade of blue I really liked. 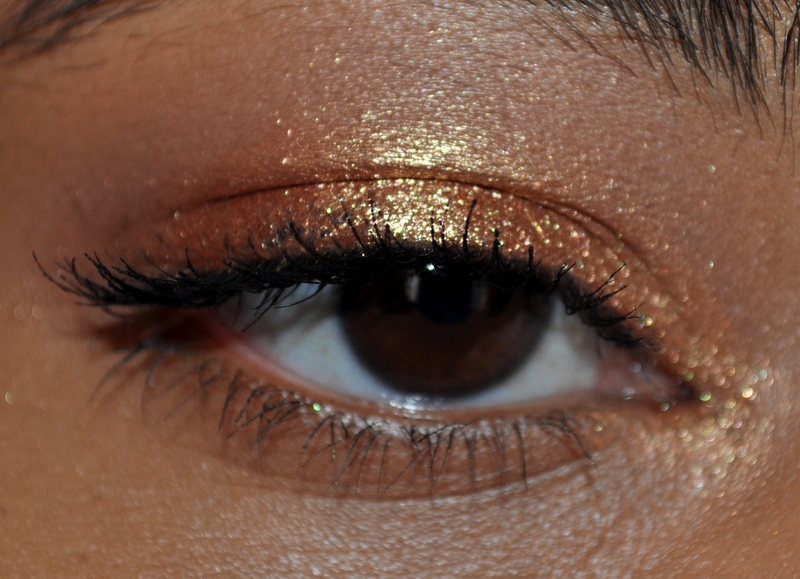 I also finally used my Urban Decay Eyeshadow Transforming Potion for the first time and mixed it with some MAC Reflects Gold glitter and applied it around my tear duct. 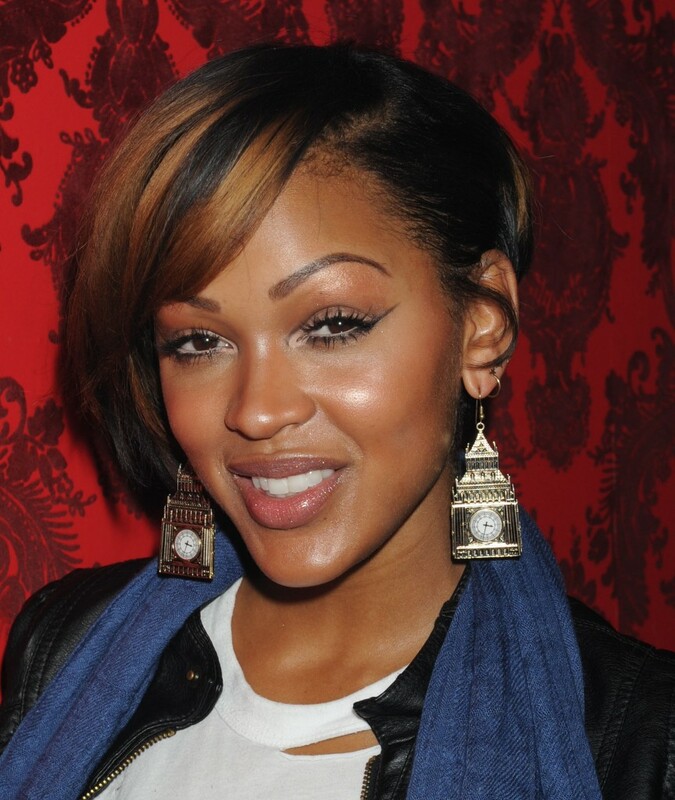 Someone recently commented on my blog asking for recommendations on how to get this look worn by Meagan Good. I looked at the picture and thought it looked a bit unusual but very simple so I thought I’d do a post on it. The main element in this look is the use of the light beige pencil all around the eye but especially concentrated around the tear duct. 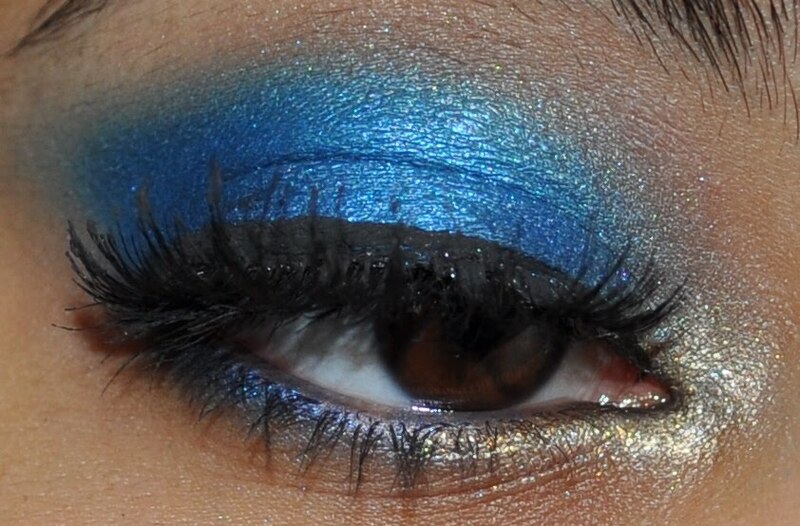 I think the person who commented wanted to use Stila Topaz for this look and I tried it but I didn’t like it. 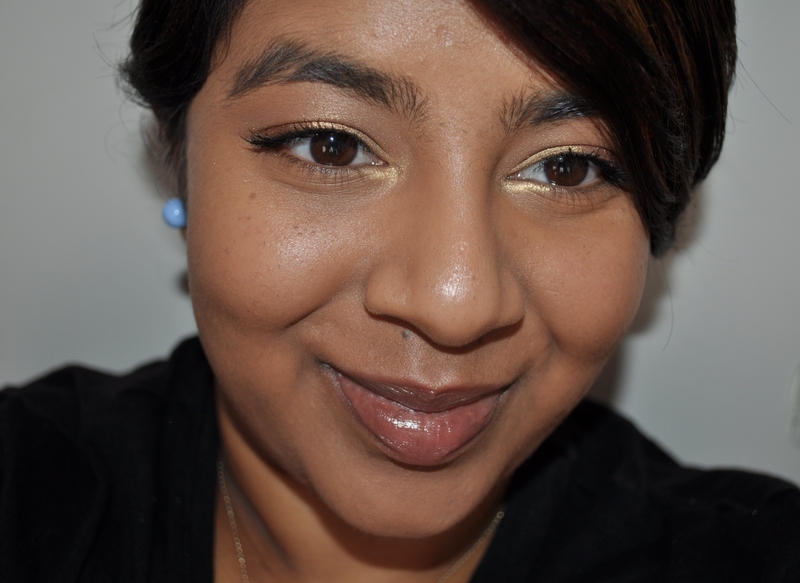 I’ve already posted about the Stila Topaz Kajal liner before and I’ve said that the colour and the extreme creaminess made it unworkable for me on the water line. After trying it again I’ve also decided I don’t like it around the tear duct. It’s so creamy that I couldn’t get a very precise application of it and I found it had too much of a peach undertone. Of course this is totally personal preference but I’ve found that beige and yellow toned highlighters work better around the tear duct for me than anything that has more of a pink base such as the Stila Topaz pencil. I decided to try the MAC Chromagraphic pencil in NW15/NC30 instead and it worked really well. It’s not too soft so you can get a precise application but it’s also soft enough that you can easily smudge it out if you need to. 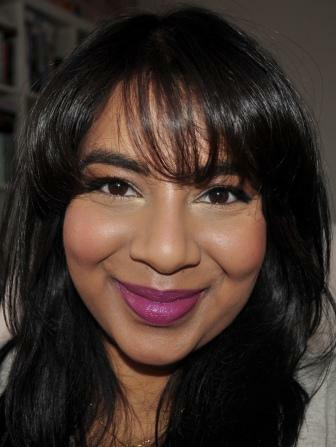 I was actually surprised by how flattering this look was and I think it would look fantastic paired with NARS Taj Mahal blush, which is a rust orange colour, on the cheeks and some clear gloss on the lips. 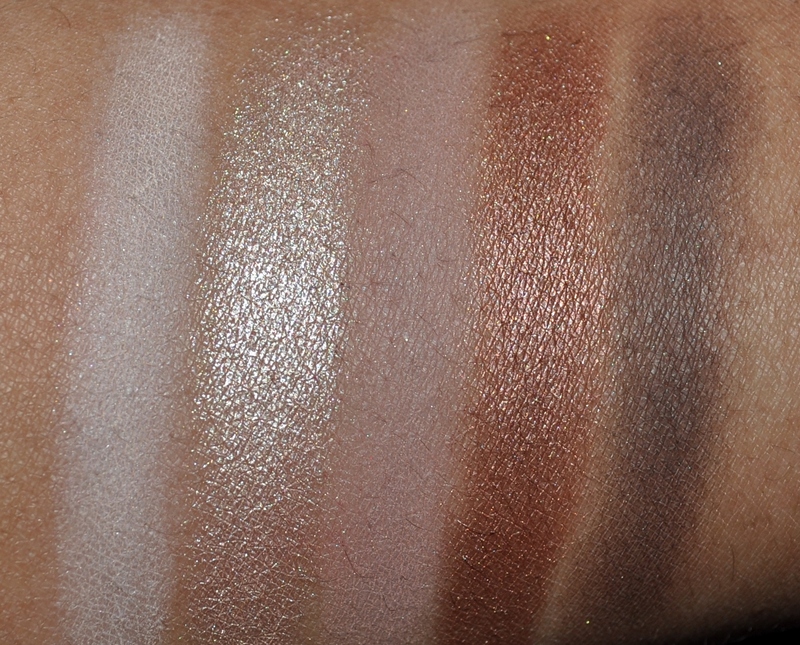 If you’re of a lighter skin tone then just use a lighter coloured pencil or even a white one and if you’re darker then just use a more tan coloured pencil such as the MAC Chromagraphic pencil in NW35/NC42. What do you think of the look? Can you see yourself wearing something like this? Leave me a comment below!